Shree Warana Mahavidalaya Started in June 1964 and the subject of economics was introduced to pre degree Arts and Commerce in the same year. Economics was the optional subject for P.D. Art and compulsory for P.D. Commerce classes. The department of Economics came into existence on 15th June 1967. 1) The faculty of the department is well qualified & experienced. 2) The faculty is actively engaged in research & has got enough literature published to their credit. 4) The department has a track record of good results, with the average of last six years of 96 %. 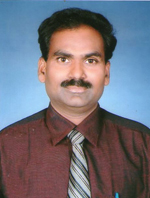 5) University rank holder – Mr Nilesh Nivasrao Jadhav in 2007-08. Our department’s aims are to inculcate economic way of thinking among the students and to enable them for solving economic problems. To enable the students became globally competitive and to improve themselves as a good entrepreneur or a employee or for a self employment. 3 Shri. S. J. Desai Acting-Principal Y.C. Warana, Mahavidalaya, Warananagar. 1 Patil Padurang Bandu 1984-85 C. E.O Zilla Parishad, Kolhapur. 3 Kamble Bhimrao Sambhaji 1978-79 H.O.D. & Associate Professor. S.P. College, Pune. 5 Shete SharadKumar Uttam 1986-87 H.O.D. & Associate Professor. Devgad College , Devgad. 6 Doijad Megha Sadashiv 1986-87 H. O.D., Deptt. of Eco Rajarshi Shahu Mahavidyalaya, Kolhapur. 7 Sakate Prakash Bhagwan 2004-05 Branch Head,Gadhinglaj. Surajya Foundation, Warananagar. 8 Kanade Deepak Suresh 2005-06 Labour Officer Shri Warana Dudh Sangh, Warananagar. 10 Bachhe Geetsing Jaysing 2003-04 Cashier K.D.C.C. Bank , Bhuyewadi Branch, Kolhapur. 13 Powar Sonali Vishnu 2010-11 Coordinator D.P.R. Project, Roha. 14 Gurav Prashant Rajaram 2001-02 Purchase officer Warana Bazar.